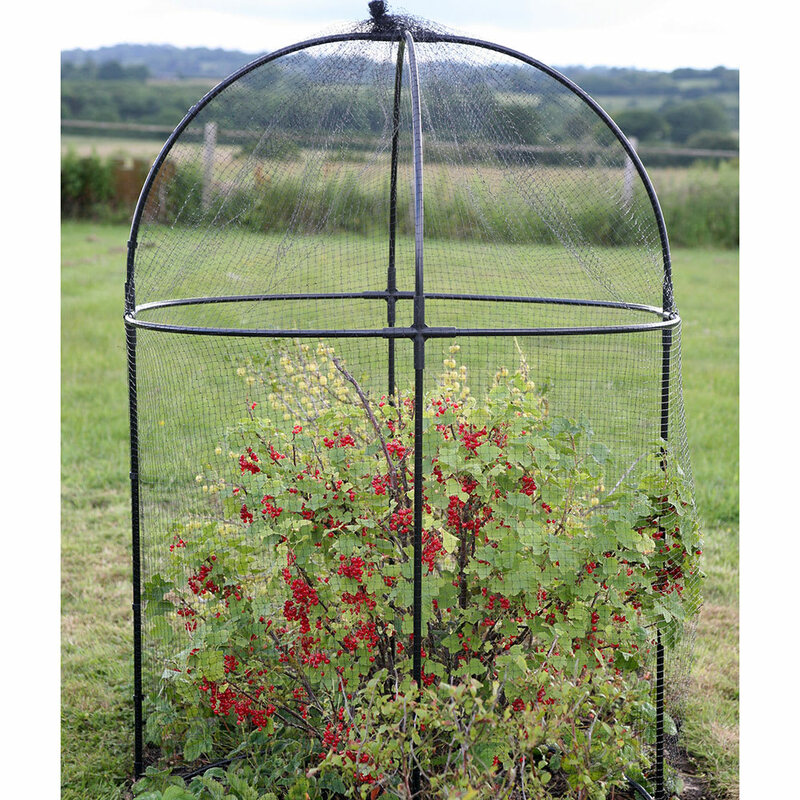 Keep birds, animals and all forms of greedy guzzlers away from your raspberries, gooseberries, currants, blueberries and cranberries with a fine looking Haxnicks fruit cage. Width 1m (3ft3"") Height 1.5m(4ft11") Length 1m (3ft3"). We have made sure that you won’t get in a tangle of netting and poles. All you need to do is follow the delightfully helpful instructions to construct the cage using the flexible ‘push fit’ plastic joints to join the pre-cut steel lengths. 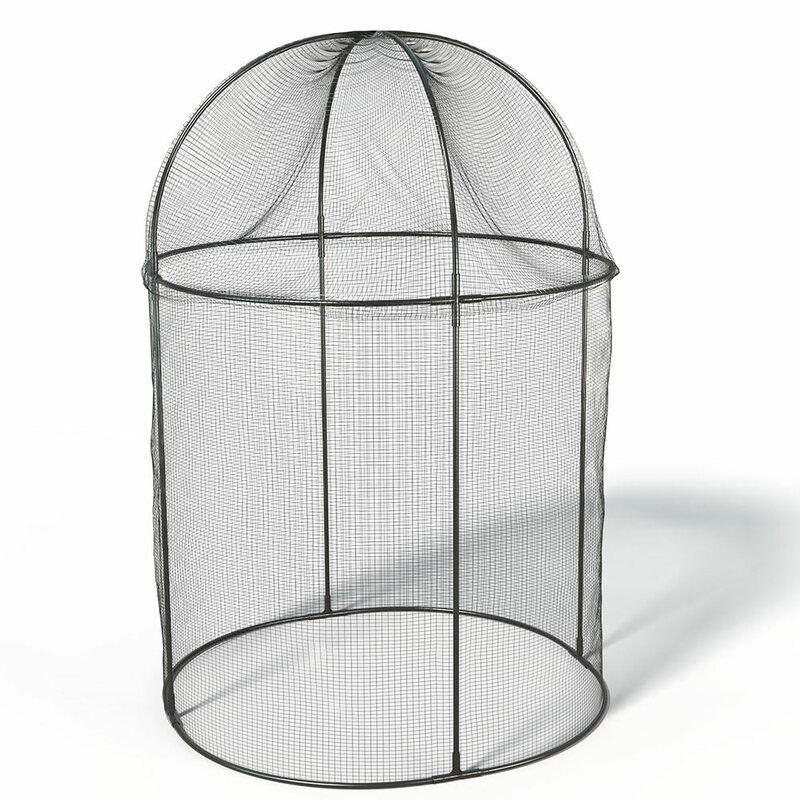 The 10mm² mesh cover fits neatly over the top and clips securely onto the frame. Also included are galvanised steel U shaped pegs to keep it where you want it. To make it easy to take home all the parts come flat-packed in a box. 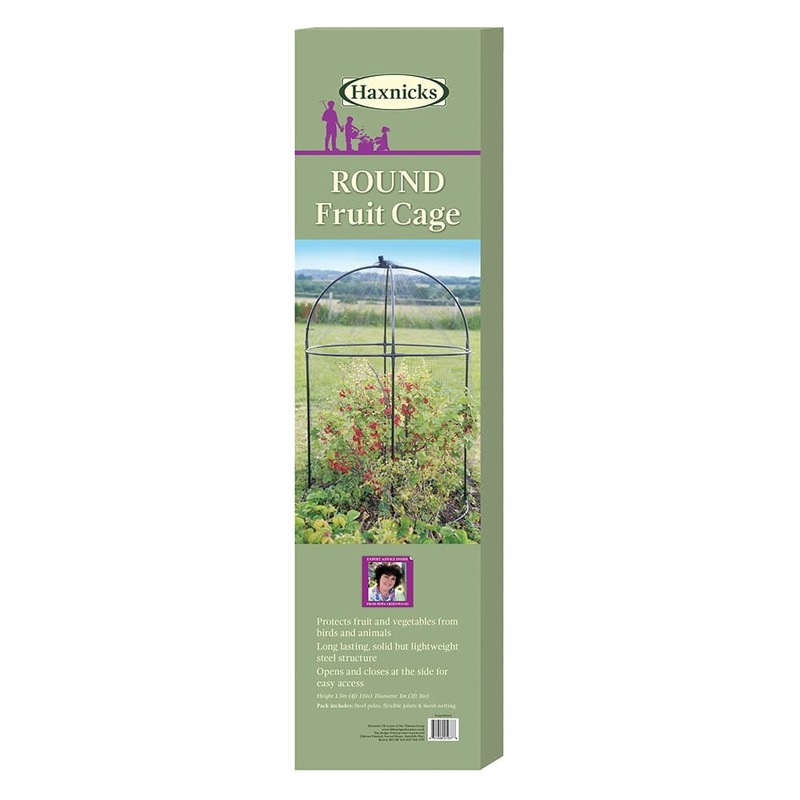 Helpful Haxnicks hint: to protect larger fruit bushes or a row there is a long fruit cage available.